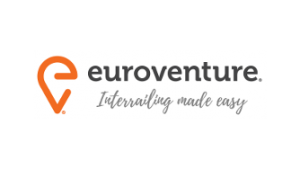 Euroventure makes travelling Europe by train easy with bespoke interrail packages and group tours for travellers of any age. We take the stress out of interrailing, so travellers can go everywhere they’ve always wanted to go without worrying about the boring stuff. With transport, accommodation, and directions included, we’re pioneering a new way to travel Europe. Independent trips – pick from our popular routes or create a custom route. Just tell us where you want to go and when, and we’ll sort out the rest. We don’t prescribe activities or set times; we know each traveller has a different idea of what makes the perfect Euroventure. Group tours – explore Europe in a small group of like-minded backpackers your age (we run tours for groups of 18 to 27-year-olds and 28+), travelling by train, staying in awesome hostels and experiencing the best activities in each city. Via our partners, we also offer group tours beyond Europe. Our new tours cover South East Asia, Australia, Japan and China.